NetStone Global experts have enabled us to become a trusted PHP development service provider by completing major projects and satisfying clients across the world. We combine both creativity and imagination to render the 100% user-friendly and interactive web applications and web solutions. The team of our skilled developers are capable of handling programming and development services, covering all needs of global clients. How we offer PHP development services! Our talented programmers live up to mark all your PHP web development requirements including website development, corporate website development, etc. We make complete use of this open source scripting language to create lively web pages. Our experts follow proper documentation for every code and try to keep the codes simple as it proves to be time-saving. 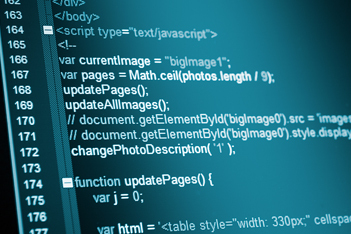 Our developers are versed with PHP (LAMP), MySQL, Apache & Linux. This allows us to offer the best solutions and ensure maximum contentment for our customers. We make ample use of MVC (model view controller). This powerful architecture is deployed proficiently to create expressive, efficient as well as reusable web applications. We render the best PHP web development services at affordable pricing. Our solutions provide performance guarantee by following specified needs of the clients. We enable our customers to take advantage of all PHP benefits. Our developers ensure fast data processing & compatibility with diverse OS by developing a website. Why to choose NetStone Global IT Solutions!